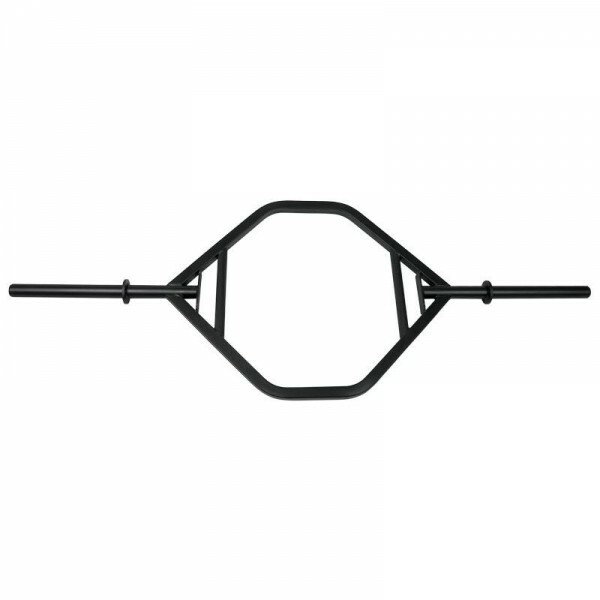 The American Barbell Hex Bar is an excellent option for those looking to switch up traditional deadlift training. Benefits of using a Hex Bar include reduced stress on the lower back and the ability to keep the bar close to the body with ease, all while engaging the same target muscle groups. It's also an effective tool for heavier training and a great choice for lifters new to the deadlift. The Hex Bar is fully rackable, accepts standard Olympic diameter collars and is made in the USA.